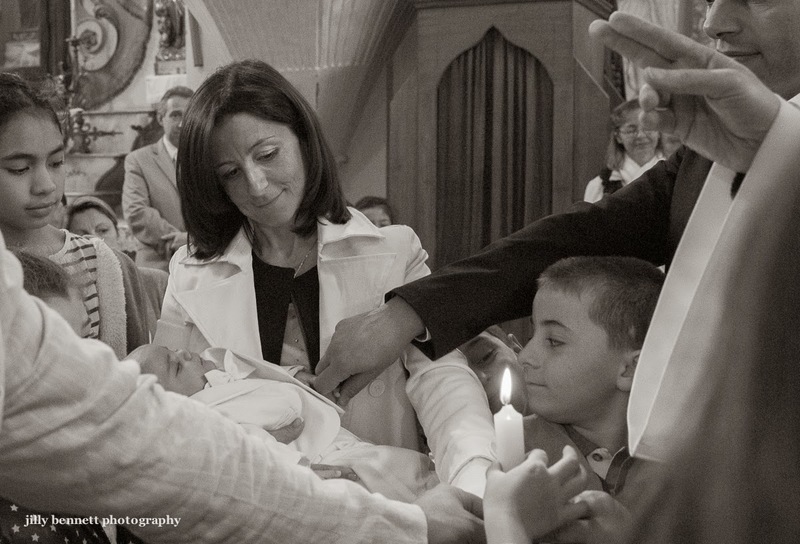 A candle is lit which is then held by the baby's parents and as many as can whilst the priest blesses the child. 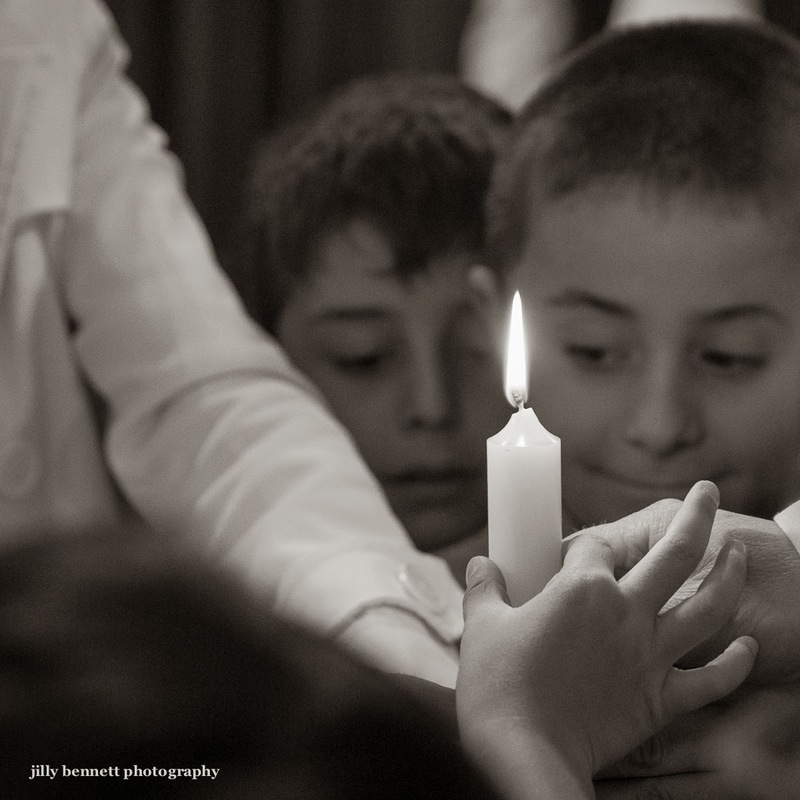 The symbolism is that the spirit of God, through the flame, enters into the child. Later, the godfather sits holding the lit candle for the rest of the ceremony. Une bougie est allumée puis tenue par les parents de l'enfant et par plusieurs autres personnes tandis que le prêtre bénit l'enfant. C'est l'esprit de Dieu qui, symboliquement représenté par la flamme, descend sur l'enfant. Par la suite, c'est le parrain qui tient la bougie allumée pour le reste de la cérémonie. Black and white for these shots works very well indeed. The mood of this event is well captured and further enhanced by having black and white images. 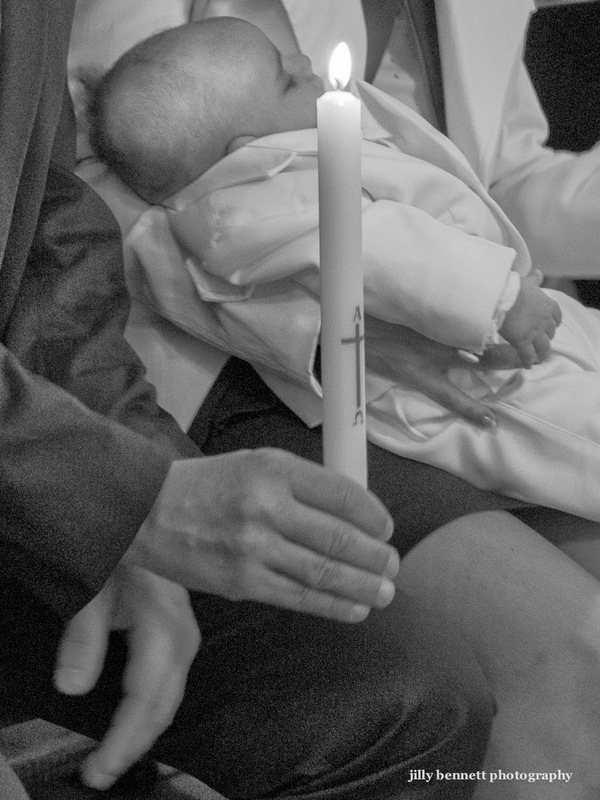 The shot with the baby and candle is particularly moving. Bon week-end.